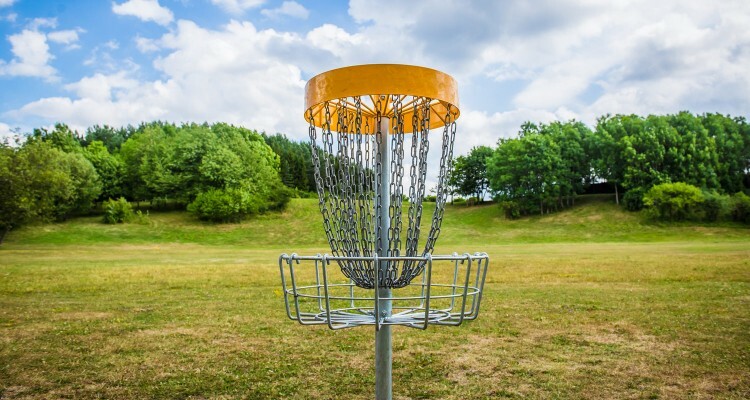 Disc golf can offer a fun and challenging experience for a wide range of players. It can be played from school age through the golden years, making it a terrific lifetime sport. Men, women, boys, and girls all play disc golf. It’s a great way to spend an afternoon at the park by yourself, with friends, or with the entire family. Disc golf is affordable too. A golf disc can be purchased for less than $10, and most courses are free or charge little to play. Disc golf is available to practically everyone. A top park feature among visitors and managers, Disc Golf has seen steady growth for over 30 years. As of 2015 there are over 6000 courses around the world. Disc Golf is easy to learn, and enjoyable for a lifetime. Disc Golf makes a great activity for families. Seniors, the fastest growing demographic, are taking to disc golf in record numbers. Disc Golf is a low impact activity that gets people out and walking. It’s a great way to introduce both upper and lower body conditioning into your routine. And best of all, Disc Golf is a sport that’s fun for all abilities. Lexington County Recreation and Aging Commission has offered disc golf at their Senior Sports Games for the past 14 years. Disc golf is great because it can be played in so many settings and by diverse skill levels, making it ideal for the older adult population.